A K-car? On Barn Finds?! We don’t generally talk politics or religion here, just cars. But, since this is Sunday and also a day before tax day here in the U.S., we could all use a little saving. 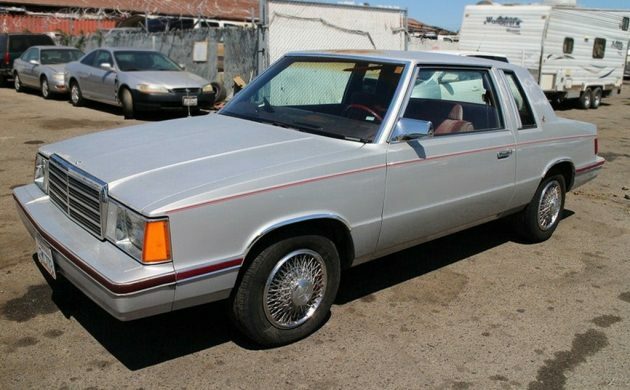 This Chrysler savior is a 1983 Plymouth Reliant K – yes, a humble yet powerful K-car. It can be found here on eBay in Orange, California. The current bid price is $338.33 and there is no reserve. Like them or not, there are many who would argue that there would be no Chrysler today, in any form, if it wasn’t for the once-plentiful K-cars. 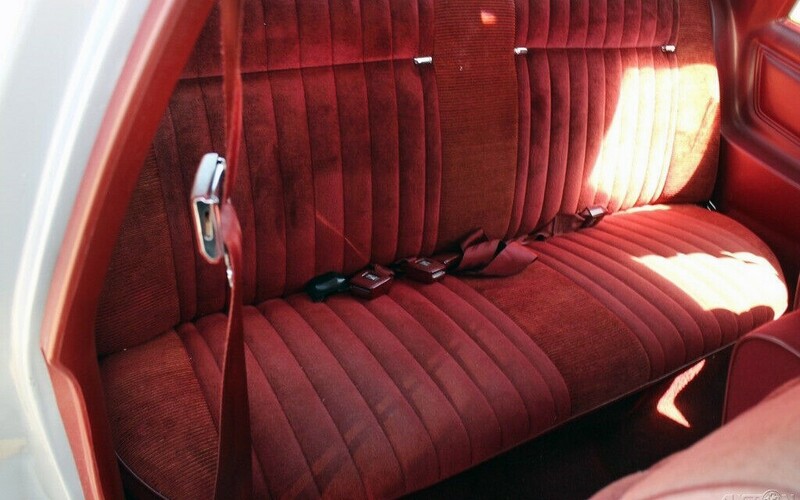 The Dodge Aries and Plymouth Reliant had more than a small hand in saving Chrysler from the dust bin of history. 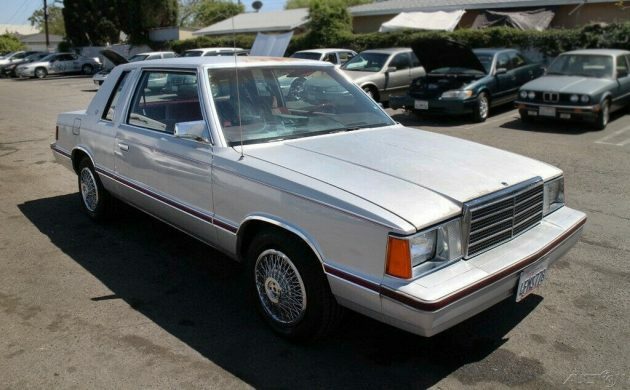 Not to mention the K-car-based Chrysler LeBaron and/or New Yorker – and my personal favorite: the Chrysler Executive Limousine. There had been other front-wheel-drive cars and other inexpensive cars, but the mix was just right and it came at just the right time. And, unlike the jewel that Dumb and Dumber was, which spun off a questionable Dumb and Dumberer and even more questionable Dumb and Dumber To, The K-Car spun off some very heavy hitters in Chrysler’s arsenal. And, who doesn’t like a two-door car? One that looks as if it was traced off of a grade schooler’s desk of archetypical car drawings, but still, if this one had “two doors too many” it would be a zero-door car. You already know that I love me some K-car and I won’t convince any of you who aren’t fans of them, but the company sold millions of theese things in all forms and they spun off onto some great game-changing vehicles. The hot California sun is also a game-changer, or a paint-changer if nothing else. This car will most likely never be restored but I think it’s interesting because it’s a two-door in pretty nice condition and it has a red interior. 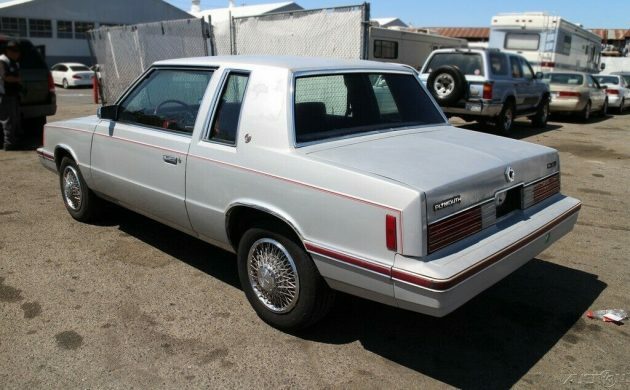 I rarely see K-cars anymore and never see them on the street anymore, even though they were as thick as a Kardashian rear-end in the 1980s and early-90s. 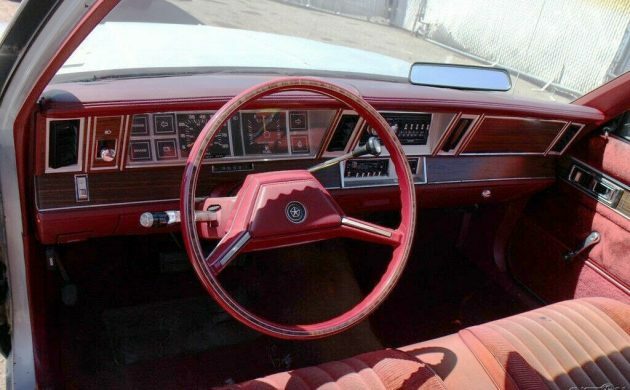 This car is being sold after being donated and it isn’t all rosy, even though it has a red interior… Which looks great, by the way, other than being sun-faded and needing a bit of love on a couple of areas like a ripped seat back and a crack on the dash. 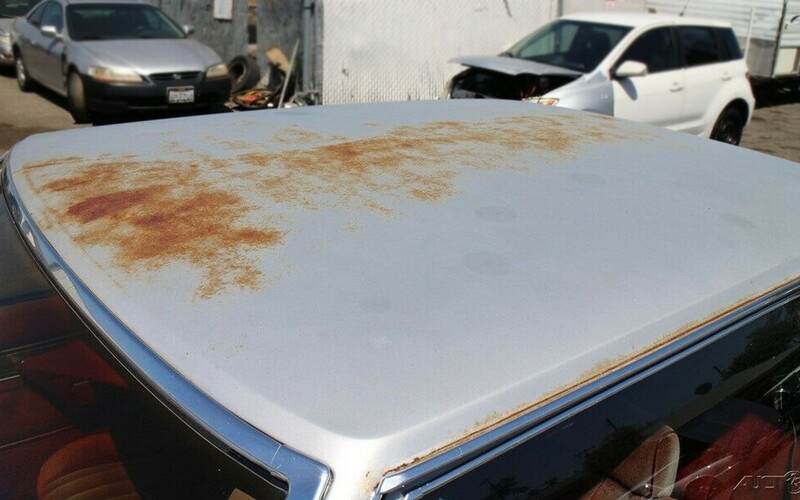 I had a mid-80s Chrysler LeBaron convertible that was one of the best, most trouble-free cars that I have ever owned. I literally didn’t have one problem with it in the few years that I owned it, other than having two people run into it in two separate accidents causing a total of $13,000 in damage in late-1980s money. That’s $28,000 in 2019 dollars! This car has the same engine that my LeBaron had, a fantastic Mitsubishi 4G54, 2.6L inline-four with just under 100 hp. 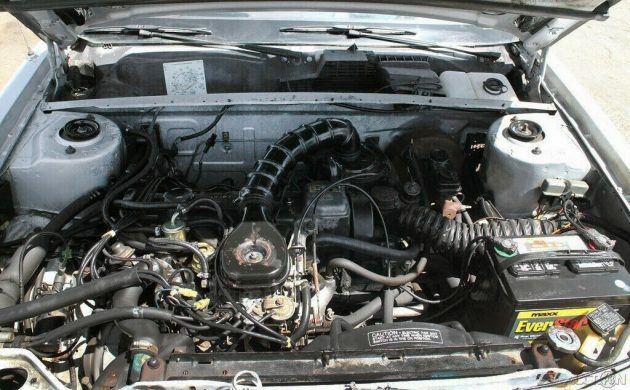 The seller says that this car needs a battery (easy), has a valve cover leak (easy), the power steering needs service (not sure what that means), and there’s an exhaust leak (not cheap but easy). NADA is at $725 for a low retail value and $1,350 for an average value. This car could be fixed, at least mechanically, while keeping it well under either of those values and you’d have a head-turner. Not a fast, fancy, or burly head-turner, but one none the less. Not to mention, saving a savior. I dig the two door and red interior. The late 80’s facelift left these looking a little better. I had an 87 Dodge Shadow which was born off a K car. I won’t say it was awesome or trouble free, but I lived it all the same and it always got me where I needed to go. I personally don’t have a need to ever drive a K car again, but it would be nice to see one on the road now and again. This one has survived and deserves a new lease on life. we had a woman that used to turn up a our cruise nights with a lebaron 2 door sedan blue with a grey interior her husband transplanted the 340 automatic power train out of a 70 duster into it . rear wheel drive! looked bone stock, she told me she made a lot of so called fast mustangs and gm cars look slow away from stop lights! “Thick as a Kardashian rear-end”, seriously Scotty! That there’s a heck of a lot of K-cars you are describing. Very entertaining write up Scotty! Yes, some cars are best left in memory, but that doesn’t mean we can’t still remember them fondly. Case in point with this car. I had a two door Reliant, burgundy in and out. 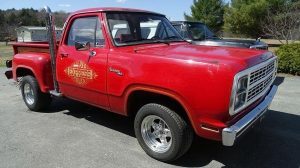 Found it on the back of the used car lot, wierd it was a five speed with the big brakes and 14 inch wheels. Had an AM radio and that was it, Chrysler 4 cylinder was a great runner. Think I gave 1500 bucks for it as it needed fresh brakes and a new radio! You bet it saved Chryslers arshe, but I doubt some punk spinning their tires, doing donuts in their new Charger, could care less. I’ve had many K cars, of all kinds, and quite simply, of all the cars I had, they were the best. Yeah, yeah, I hear it all the time, “my Omni was the worst”, or ” my minivan burned oil”, or the trans went out ( after 100K miles of pure abuse) baloney, these cars were unwashed, unloved, and most importantly, unmaintained, and STILL delivered hundreds of thousands of miles. You just can’t argue with facts. $350 bucks,,sigh, really, and from California, shouldn’t the price be $35,000? They were great cars regardless. I recall the in laws had a butterscotch coloured k car.Its about as basic of a utilitarian car you can get.It did have a hemi badge on the fender which of course made it go faster,right? Neat car, especially with just two doors. But while you sing the deserved praises of the Reliant/Aries as the savior of Chrysler, Scotty, don’t overlook the impact made by the original Caravan/Voyager minivans. Introduced in 1984 and essentially the same car underneath the skin as this K car, those early minivans were similarly reliable and they carried loads of people and their stuff. They also led the other manufacturers to offer similar vehicles. I think you’re more likely to spot a first-gen Caravan on the road today than a K car. This one is also a top of the line SE model! Dang, this car sold for $411.99! I bet that if it had a 5-speed it would have gone for more? In the late 1980’s & early 1990’s I owned a bunch of these. I’d buy one & flip it for a small profit then buy another. 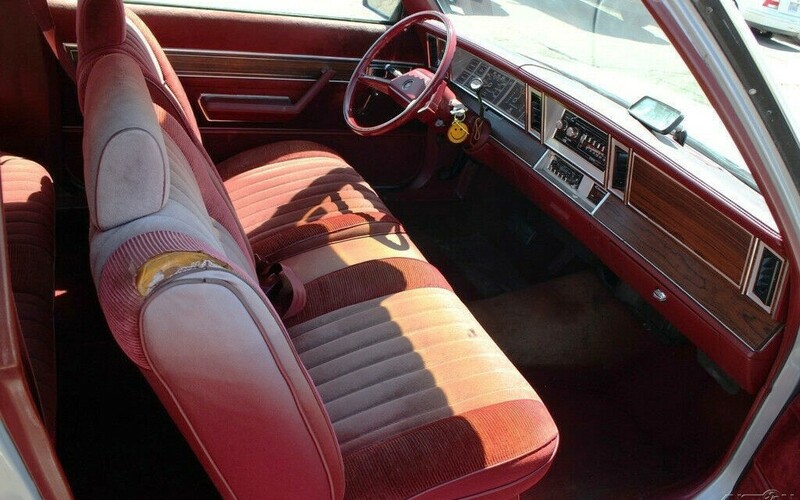 My favorite was a 1984 (I think) wagon, 2.2 & 5 speed, brown with deluxe bucket seat interior. Great gas mileage, hauling capacity, and almost fun to drive! I wish I had one like it now.